Part of the Las Vacas chain. Tues - Sun: 11am-11pm. Closed on Mondays. From KLCC, turn left into Jalan Yap Kwan Seng. You should be able to see Menara Ambank on your right. Drive straight until you can find Old Town Kopitiam. Turn left and the place is behind Old Town Kopitiam. 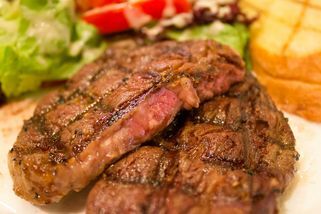 For those craving for fresh meat in the form of succulent steaks and other Western favourites, make a trip to Las Vacas to dine away at your heart’s content. 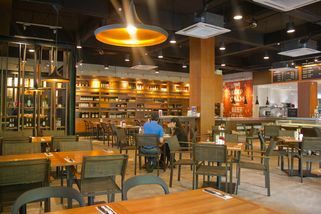 Already well-known as the Australian butchery-inspired restaurant and meat shop, Las Vacas does not disappoint. 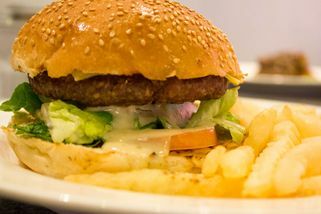 Meat lovers will find this eatery, which sells meat as well as full meals from their wide selection of fresh cuts from Down Under, a delightful and exciting experience. 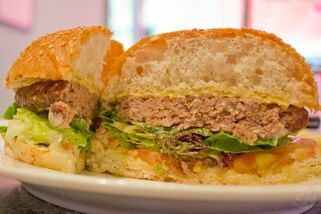 At their simple and cozy shop, Las Vacas concentrates on signature dishes such as Ribeye Angus (grass-fed) Steak, Beef Burger, and Beef Wrap, plus other meats such as lamb to keep customers coming back. The shop is open daily from 11am-11pm and closed on Mondays. 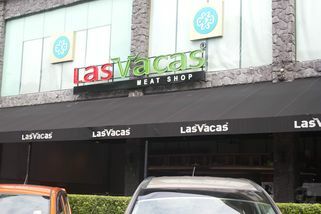 Thanks to a very warm reception, Las Vacas has also another two outlets, based in Mont Kiara and Kelana Jaya. 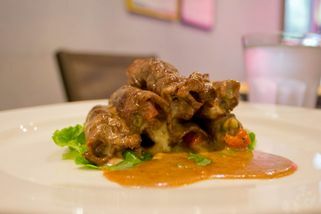 "Semi fine dining at Las Vacas.. Awesome!" I love the place so much. Its much more spacious than those in Mont Kiara and Kelana Jaya. The ambience is soothing and very relaxing. Just like a casual dining spot but looks more exclusive. 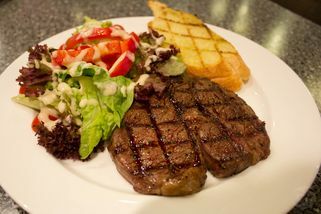 Had their awesome Ribeye Steak and Lamb Bruschetta. Definitely will come back for more.